This article helps IT administrators simplify Windows enrollment for their users. Once you've set up Intune, users enroll Windows devices by signing in with their work or school account. Do you use Azure Active Directory Premium? 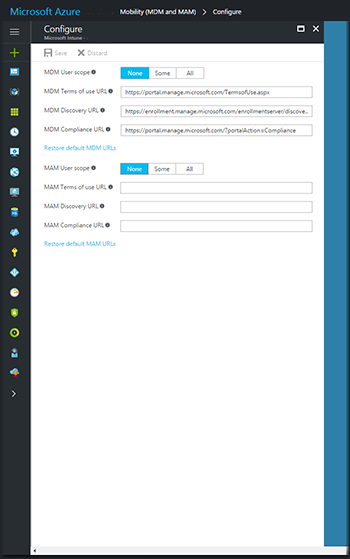 Azure AD Premium is included with Enterprise Mobility + Security and other licensing plans. What versions of Windows clients will users enroll? Windows 10 devices can automatically enroll by adding a work or school account. Earlier versions must enroll using the Company Portal app. Organizations that can use automatic enrollment can also configure bulk enroll devices by using the Windows Configuration Designer app. Intune supports multi-management for devices that run the Windows 10 Creator's update and are Azure Active Directory domain-joined. When standard users sign in with their Azure AD credentials, they receive apps and policies assigned to their user name. Users can't currently use the Company Portal for self-service scenarios like installing apps. Automatic enrollment lets users enroll their Windows 10 devices in Intune. To enroll, users add their work account to their personally owned devices or join corporate-owned devices to Azure Active Directory. In the background, the device registers and joins Azure Active Directory. Once registered, the device is managed with Intune. 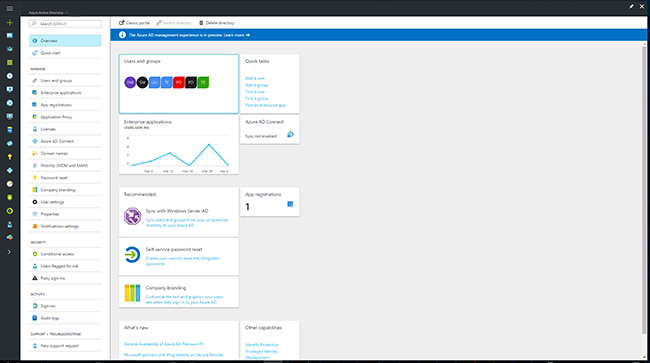 Sign in to the Azure portal, and select Azure Active Directory. Select Mobility (MDM and MAM). Configure MDM User scope. Specify which users’ devices should be managed by Microsoft Intune. These Windows 10 devices can automatically enroll for management with Microsoft Intune. For BYOD devices, the MAM user scope takes precedence if both MAM user scope and MDM user scope (automatic MDM enrollment) are enabled for all users (or the same groups of users). The device will use Windows Information Protection (WIP) Policies (if you configured them) rather than being MDM enrolled. For corporate devices, the MDM user scope takes precedence if both scopes are enabled. The devices get MDM enrolled. MAM user scope must be set to a user group or collection. By default, two-factor authentication is not enabled for the service. However, two-factor authentication is recommended when registering a device. To enable two-factor authentication, configure a two-factor authentication provider in Azure AD and configure your user accounts for multi-factor authentication. 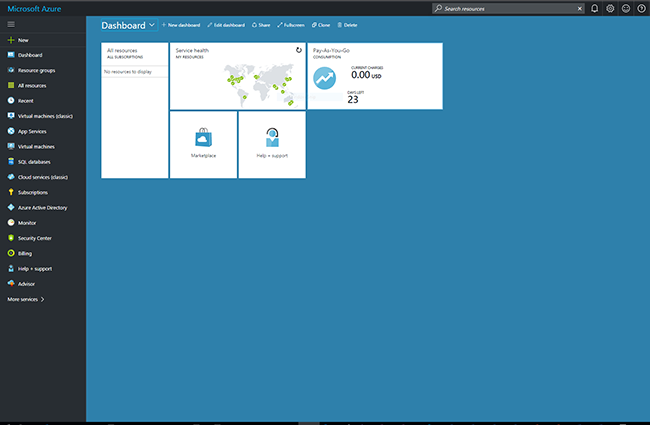 See Getting started with the Azure Multi-Factor Authentication Server. To simplify enrollment, create a domain name server (DNS) alias (CNAME record type) that redirects enrollment requests to Intune servers. Otherwise, users trying to connect to Intune must enter the Intune server name during enrollment. Create CNAME DNS resource records for your company’s domain. For example, if your company’s website is contoso.com, you would create a CNAME in DNS that redirects EnterpriseEnrollment.contoso.com to enterpriseenrollment-s.manage.microsoft.com. Although creating CNAME DNS entries is optional, CNAME records make enrollment easier for users. If no enrollment CNAME record is found, users are prompted to manually enter the MDM server name, enrollment.manage.microsoft.com. Changes to DNS records might take up to 72 hours to propagate. You can't verify the DNS change in Intune until the DNS record propagates. Using a method other than the CNAME configuration is not supported. For example, using a proxy server to redirect enterpriseenrollment.contoso.com/EnrollmentServer/Discovery.svc to either enterpriseenrollment-s.manage.microsoft.com/EnrollmentServer/Discovery.svc or manage.microsoft.com/EnrollmentServer/Discovery.svc is not supported. In Intune in the Azure portal, choose Device enrollment > Windows enrollment > CNAME Validation. In the Domain box, enter the company website and then choose Test. Tell your users how to enroll their Windows devices and what to expect after they're brought into management. End users must access the Company Portal website through Microsoft Edge to view Windows apps that you've assigned for specific versions of Windows. Other browsers, including Google Chrome, Mozilla Firefox, and Internet Explorer do not support this type of filtering. For end-user enrollment instructions, see Enroll your Windows device in Intune. You can also tell users to review What can my IT admin see on my device. 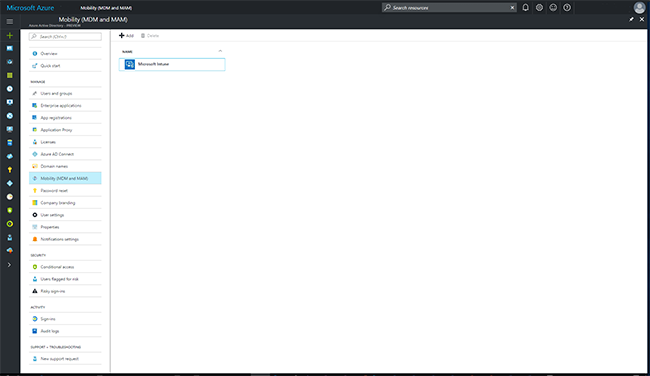 If you do not have Auto-MDM enrollment enabled, but you have Windows 10 devices that have been joined to Azure AD, two records will be visible in the Intune console after enrollment. You can stop this by making sure that users with Azure AD joined devices go to Accounts > Access work or school and Connect using the same account. For more information about end-user tasks, see Resources about the end-user experience with Microsoft Intune. Considerations when managing Windows devices using Intune on Azure.